Red Dragon by 1×2 Gaming is a fun and a high paying slot machine that takes players on a wonderful and an exotic ride that will take them to the unique and dragon infested lands of the Far East. 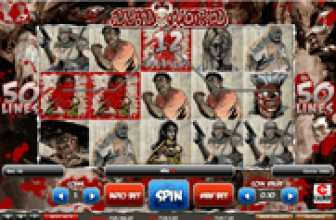 Players will certainly love this action packed and highly rewarding adventure as they spin the 5 reels of the game. They will then enjoy all of the aspects of the Asian culture that will appear in the form of icons on the reels and the lines of the video slot game. If you are not sure about the game, no problem, we offer the slot game, Red Dragon, for free right here so you can test the game and check its prizes, game play and features before you can start placing real money bets at online casinos that host the game. 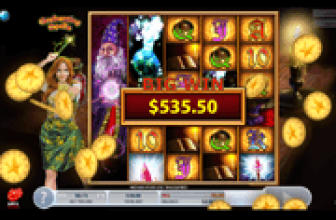 The game is user-friendly, so whether you are an online gaming veteran or a newbie, you will find it pretty easy to place bets and control every aspect of the game, all through the control panel of the game. This panel is located under the reels, through which players will be able to place their bets by choosing how many of the lines they wish to activate, the amount of coins that they will use to place the bets, and lastly, the value of the coins. Other than the wagering options, other game play features include the Max Bet, the Auto Bet, the show win lines and the paytable. All of this would show players the wins and the special features that the game hosts. 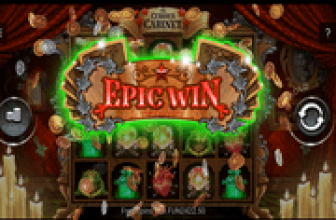 The game hosts 3 special icons that can contribute greatly in giving players huge payouts. The first one being the wild symbol which comes in the form of the Samurai warrior. The second special icon is the scatter Asian house that would give great pays and trigger up to thirty free spins on the video slot machine. Last but not least, the game has a bonus icon, which is none other than the dragon that would trigger the bonus round of the game. Travel to the Far East and enjoy a truly remarkable and an exciting gaming experience that is all about dragons and the Far Eastern fortunes. Claim the rewards as your own by spinning the reels of the game. try it out for fun here.